Obtain and complete the required legal forms, including CM-010, "Civil Case Cover Sheet;" NC-100, "Petition for Change of Name" and NC-120, "Order to Show Cause for Change of Name." You can download these from the California Superior Court website or pick up paper forms from a county branch of the court. Review your paperwork for accuracy and make duplicates of the completed forms for use during the filing process and court hearing. Request a list of any additional forms required by the California Superior Court in the county of your residence, including any criminal background checks. The superior court branch in your county typically distributes lists from the court clerk's office, although some county branches provide a link to the required list on the court's website. All of the required paperwork must be completed prior to the official filing and request for a hearing date at the court in the county of your residence. File the forms with the California Superior Court and pay the required filing fees. Locate the appropriate branch by using the California Court listing linked to the main state court website. Click "Find My Court" to select a branch in your county of residence. Request a calendar date for the court hearing when filing the official forms. Copy the official notification of name change, also known as the "Order to Show Cause for Change of Name," and publish the announcement in an approved print newspaper in your geographic area. The instructions on the official filing form note the requirements for selecting an appropriate public publication. The printed notification requirements include your present and proposed name changes and detailed information about the hearing, including the address of the court, the department and room, and the date and time of the official hearing. Attend the hearing date at the county branch of the California Superior Court. Answer any questions from the judge and obtain the official decree after the court rules on your name-change request. Use the copies of the official legal decree to apply for name changes on other official documents, including bank accounts, driver's license, birth certificate and credit cards. 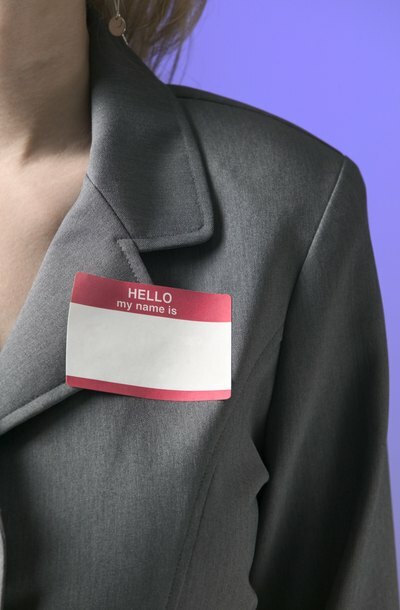 Include a request for a legal name change as part of your California divorce judgment. Name changes related to divorce proceedings typically include separation or divorce judgments filed using Form FL-180, "Judgment (Family Law)." Complete and file Form FL-395, "Ex Parte Application for Restoration of Former Name After Entry of Judgment and Order," with the court in the county of your residence if you wish to return to your maiden or former name and failed to complete Form FL-180, "Judgment (Family Law)" as part of a California divorce judgment. Make a copy of the divorce decree, if you received an out-of-state divorce, and submit this copy with a new California petition for a name change to support the request for returning to a maiden or former name.